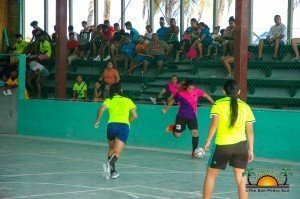 Several matches in the 5-A-Side Football Tournament took place at the Angel Nuñez Auditorium in San Pedro Town between February 2nd and 3rd. 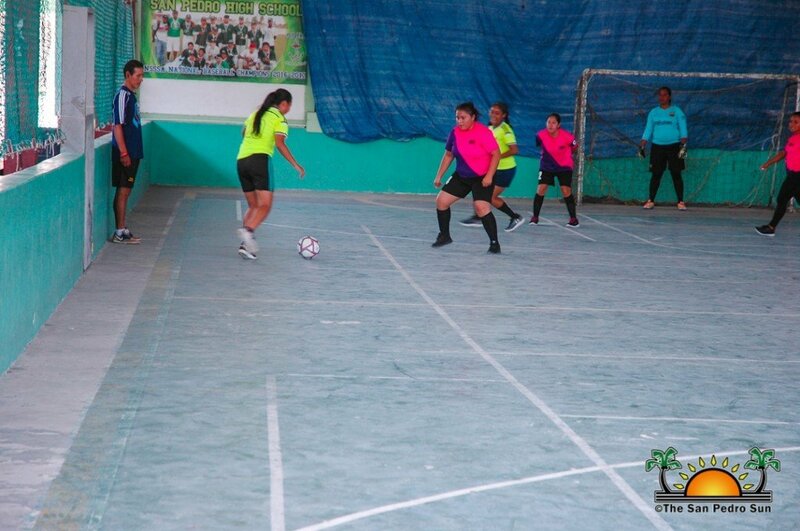 The football action began on Saturday, February 2nd, with Blue Sharks winning 5-1 against The Wolf at 7PM. E &L followed with a 10-6 defeat to Castillo’s, and San Mateo and Captain G’s game ended in a 3-3 draw. The last match of the night saw Scorpions winning 3-0 over Boca Jrs. 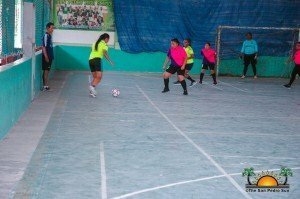 The following day, the football action began at 11AM with Sea Wolves defeating San Pedro High School (SPHS) U-15 boys with a 5-2 score. The next match saw Terror Squad F.C winning 6-2 against FC Ballers and Young Pirates were victorious with a 7-1 score over SPHS U-15 boys. Later in the evening, Revolution won 6-1 against Damitas, Yolo boys defeated El Dorado 7-5 and Rough & Tough was victorious with a 5-4 score over Young Stars. At 5PM, Los Catrachos took an easy 3-0 victory over Boca Bombers and then Terror Squad beat Conquerors F.C 4-2. The last match of the weekend saw Pro Divers winning 4-3 against Suicide Squad. In the female category, the current standings have Revolution F.C and Las Catrachas F.C at the top of the chart with 15 point each, followed by Golden Warriors with nine points. 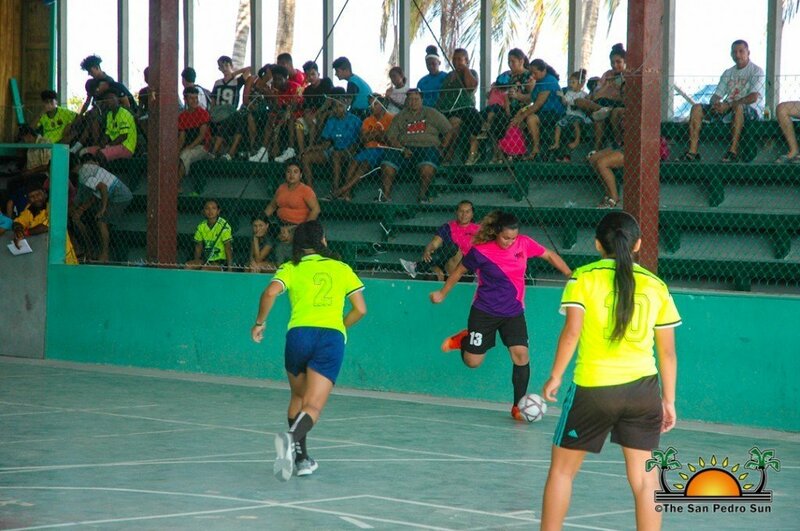 Caye Caulker Strikers, SPHS Girls and Damitas have six points each and yet to make it on the chart is Jas Strikers. The current standings in the senior male category have Pro Divers and Scorpions at the top of the chart with 18 points each, followed by E&L with 16 points and Conquerors F.C, Los Catrachos, Rough & Tough with 15 points each. Captain G has 14 points, Terror Squad has 13 points and Suicide Squad, Young Stars, Extreme Strikers and Blue Sharks with 10 points each. Yolo Boys has nine points, Young Stars and Boca Jrs have six points each and El Dorado and San Mateo F.C have five points each. The Wolf and Capricorn have three points each, San Pedrito Boys and Valley of Peace have one point each and yet to make it on the chart is Castillo’s. 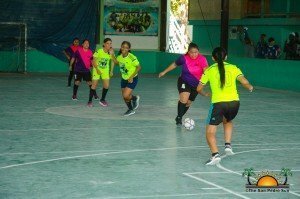 In the U-17 male category, the current standings have Young Pirates at the top of the chart with 15 points, followed by Terror Squad U-17 with 12 points and SPHS Boys with three points. FC Ballers have yet to make it on the chart. In the U-15 male category, the current standings have Larubeya F.C at the top of the chart with 10 points, followed by Sea Wolves with 6 points and SPHS U-15 with one point. The 5-A-Side Football Tournament continues this weekend, starting on Saturday, February 9th at 7PM. Games continue the following day starting at 11AM at the SPHS auditorium. All islanders are invited to come out and enjoy some great football action this weekend.